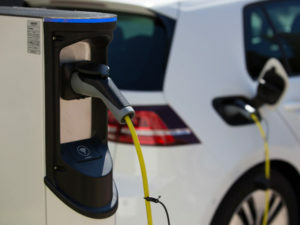 Public charging may not be as important as is commonly believed, with it accounting for a predicted 8% of all charging over the next 3-10 years, according to latest research by Delta-ee. The research found public charge points may only account for 8% of charging over the next 3-10 years. The research draws on extensive surveys to profile the next wave of (UK) EV drivers – the early adopters – who behave very differently to today’s ‘innovators’. Of these, 85% will have off-street parking and 50% will use their car for commuting. Public charging infrastructure is expected to be important for addressing range anxiety, but will account for a small portion of total charging, the company found. Suburban commuters (the largest segment): charge at home and work, will seek a deal that fits with their regular schedule. Mix-and-matchers: urban movers looking for the best deal. Happy to use public chargers and latest tech to find the best deal. Home dwellers (the smallest segment): rural-suburban homeowners who are financially secure. Tend to be older and retired, not particularly tech savvy.